Community Service Council (CSC) Board of Directors has hired Pam Ballard as the next chief executive officer, beginning Feb. 1, 2019. Ballard previously was the chief executive officer of Susan G. Komen Tulsa, a resource for women who need breast cancer screening, diagnostic and support services. Before that, Ballard served as the executive director for the United Way of Enid and Northwestern Oklahoma. In addition to Ballard’s tenure leading nonprofits, she also brings banking and human resources experience to her new role. Ballard is a graduate of Leadership Oklahoma Class, immediate past chair of the Oklahoma Community Service Commission (Americorps Oklahoma) on which she has served since 1996, and is a member of the City of Tulsa’s Ethics Advisory Committee. “It’s an honor to be chosen to lead the Community Service Council,” Ballard said. “I have long admired the leadership role CSC undertakes in so many health and human service areas affecting all of our families. I look forward with enthusiasm to working with the board, staff and community partners and stakeholders to take this venerable 78-year-old organization into the future identifying and acting on the needs of our community’s most vulnerable. “One of CSC’s greatest and most impactful roles in our community is its ability to identify and act on the needs of our citizens, knowing at any given time anyone can find themselves in a state of vulnerability. It is a privilege being part of an organization with service to all,” Ballard said. 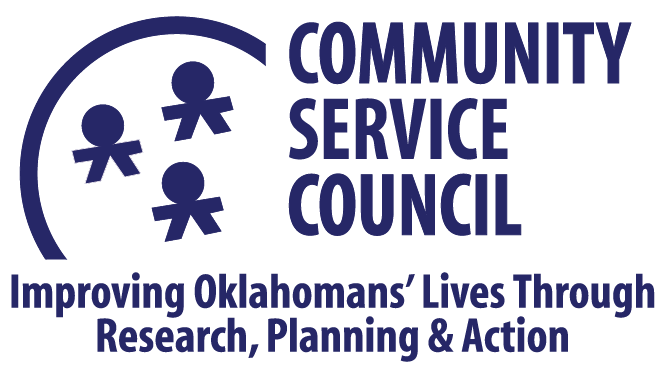 The Community Service Council has been a non-profit leader in community planning since 1941. Working with area partners, CSC confronts challenges to health, social, education and economic opportunities and strategically advances effective community-based solutions. This is done though research, planning, networking and mobilizing resources across six core investment areas ranging from child and maternal health to housing and homelessness to incarceration reduction and reentry.